If you share files with other users and couldn’t pay for your bandwidth (Internet Bills) than there is an easier and profitable method to earn from it. There are few companies that pay you for uploading files on their system. You can earn up to 20$ for every single download. 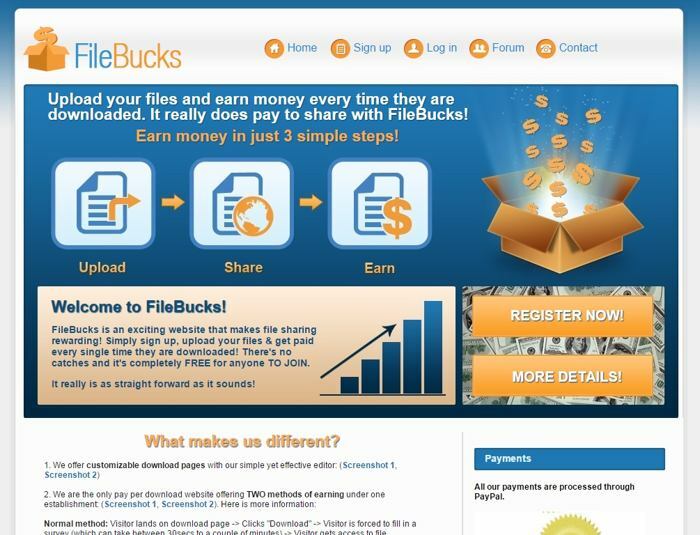 You might be thinking, “Well, who would pay you for just uploading files?”. The answer is, Have you ever observed advertisements on file sharing sites like Mediafire or 4shared? They actually make money out of your files, and doesn’t give you a single penny of it. As per reports, a file sharing site makes an average of 1$ out of every single downloads. Even you can Earn online. If you want to provide your files for free than its OK but let me remind you, You gotta pay your Internet bills too. A famous proverb read as “Nothing comes for free.” You can earn from your uploads without Annoying the users, which is a WIN WIN situation. Most of the best File Sharing files earn money through Advertisements & User Accounts (By providing High Speed download features and others). But, only few sites provides you income. Let’s checkout few of the best websites that provides highest income for every download. Its one of the best file sharing website and provides the maximum income without annoying any of your users. You can make upto 25$ for every 1000 downloads. The minimum payout is 10$ through PayPal and other websites. It also organizes Promotions and competitions for its active users. 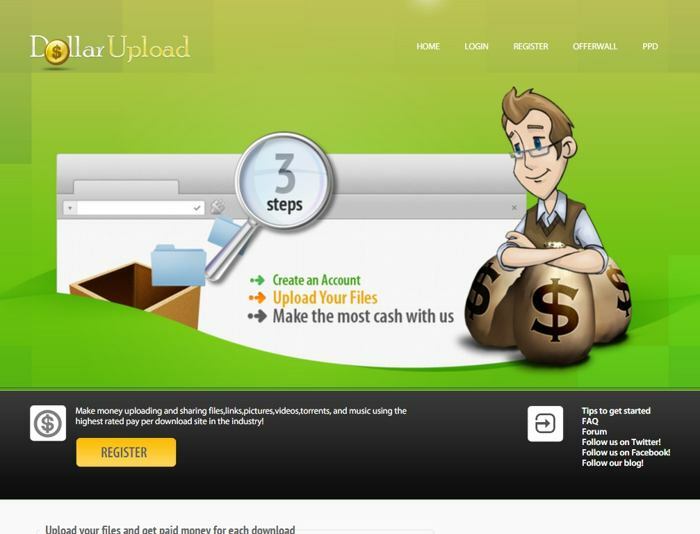 So, its the perfect place to earn by uploading your files. You get 20% of earnings of invited referrals and lots of more features. You can checkout everything on their site. If you want to make the maximum out of your files, keep reading. It pays 1$ for every single download which makes 1000$ for 1000 downloads. But, the users have to complete a survey which is pretty annoying in many cases. However, its a fair game if you are providing free softwares or anything. They pay you on weekly basis through Payoneer and PayPal. The best part of this is, they even provide direct bank transfer which is more easy and fast as compared to other payment methods. They provide local bank transfer, wire transfer, and US ACH using the lowest fees in the industry. As you can see from the front page, you can make upto thousand dollars a week. The site read as, you get paid for every download and sale premium access on your file (If a user gets a Premium Account of their site through your link, you get a particular share of that income). Its like a free income through your online uploads. If you don’t want to annoy your users in any way and provide a simple download layout, you should go for Depositefiles or Filefactory. But, if you are sharing some data or files of great importance like some free softwares, users will download it surely. So, you can go with other sites. However, I won’t recommend using survey sites, as sometimes even after completing the survey they don’t provide the users with download link. Don’t be too greedy, also keep your status in mind. 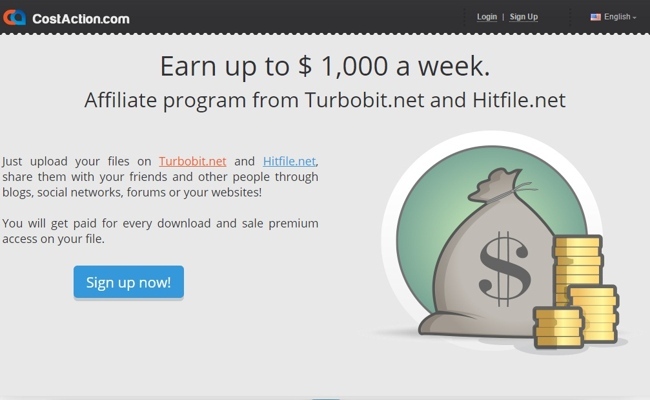 They are almost hundreds of website offering money for every file upload. But, about 75% are fake and don’t provide any income. Some of the websites get closed after sometime, while some won’t pay you pointing out your mistakes that you never made. So, its better you stick with any of the above websites and don’t disappoint your users. You need to think about both, Users as well as income. Don’t just go with highest paying company as they might have some other conditions. Hope this guide helped you in making money in your free time. Have any suggestions? Comment below. Happy earning !